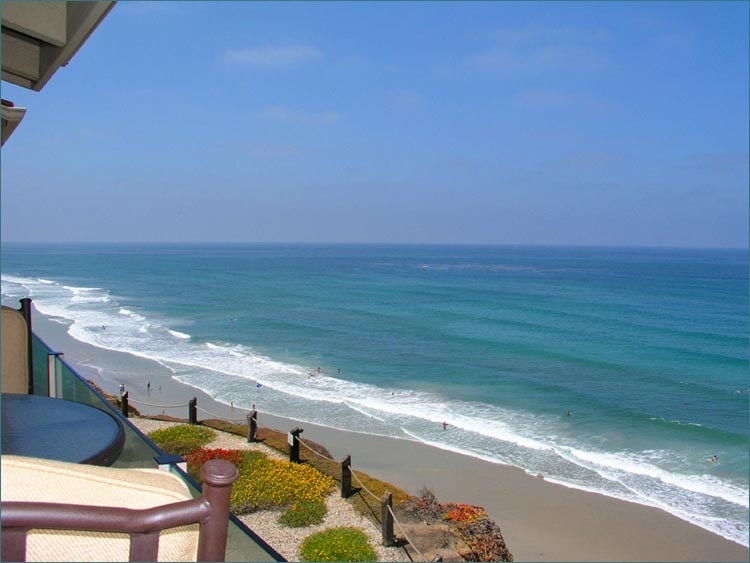 The charming seaside community of Solana Beach is nestled along the coast between Del Mar and Cardiff by the Sea. It is known for its beaches of Seaside, good surfing spot, Fletcher Cove (also known as Pillbox), with its dramatic bluffs and sandy beach, Tide Beach with its reef and tide pooling, and Seaside Beach and Del Mar Shores at the mount of the San Dieguito River. It is also home to Cedros Design District which offers 85 unique shops, galleries, boutiques and restaurants, and The Belly Up Bar which hosts numerous known musicians. Within walking distance (next block) to the Design District is the vibrant train station that provides both Amtrak and the Coaster, one of only three such stations in San Diego. Population for Solana Beach is approximately 39,065. Average income is approximately $144,903. Average price of a home is approximately $2,984,705.